One of the biggest events in Malaga later this week – Malaga Film Festival. Read our guide to find out what’s on and where. When is Malaga Film Festival? Malaga Film Festival starts on Friday 15 March and finishes on Sunday 24 March. There’s a wealth of films being screened throughout the Malaga Film Festival with some 22 official candidates for the main prize, 13 with Spanish directors and 9 with directors from Latin America. This year, the Malaga Film Festival has continued its Latin American theme by including films made in Spain and in Central and South America. You can view the full programme here . You can choose by date and time, or search for the film category you’re interested in. As well as the official competitors, Malaga Film Festival is screening 70 shorts, 48 documentaries as well as 19 films outside the official competition. The films are screened at different locations in Malaga city centre including the Cervantes Theatre, Albéniz Cinema and the Echegaray Theatre. The Cervantes Theatre hosts the opening night of the Malaga Film Festival – probably the most glamourous night of them all. How much does it cost to see one of the films at Malaga Film Festival? From €6 at the box office for most films (from €6.90 if you buy your ticket online). If you want to see any of the 19 films in the official section, a ticket costs €10. Discounts are available if you buy tickets in bulk, e.g. 10% off if you buy 5 or more. Are the films only in Spanish? Not all of them, but because the Malaga Film Festival celebrates cinema in the Spanish language, most of the films are in Spanish. Those that are original version (VOSE) say so on their details in the programme. From the box offices at the different venues, the temporary box office in Plaza de la Merced and online. Cerantes Theatre box office: 8.30am to 2pm & 6 to 8.30pm. Albeniz Cinema (Calle Alcazabilla): 4.30 to 10pm. Plaza de la Merced (from 14 March): 11am to 20.30pm. Echegaray Theatre (from 14 March): 4 to 10.30pm. 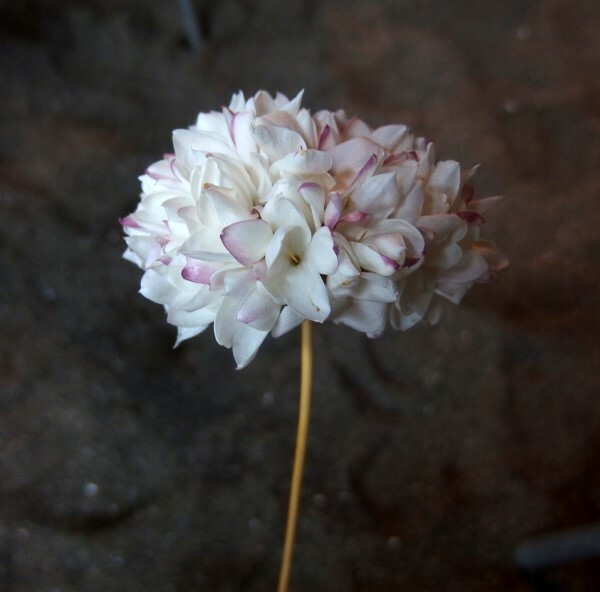 The top prize at the Malaga Film Festival is the ‘Biznaga de Oro‘ (typical flower made of gold jasmine flowers) for the best film. There are also several silver biznaga prizes for best actor, actress, director, supporting actor/actress, music… you get the idea. Yes, every year the Festival awards prizes to actors and directors for their work in film. In 2019, the Malaga Prize (Premio Málaga) goes to Cecilia Roth, one of Argentina’s most famous actors and renowned for her role in Almodóvar’s Oscar-winning “All About my Mother”. The Malaga Prize, sponsored by Diario Sur broadsheet, goes to Spanish actor Javier Gutiérrez who was in Malaga recently for the Theatre Festival. The Malaga Talent Prize, sponsored by La Opinión de Málaga newspaper, goes to another Spanish actor, Raúl Arévalo who has recently started directing films too. Is the Malaga Film Festival just about films? Promúsica Youth Orchestra plays sound tracks with the accent on tangos at El Balneario (at the end of the seafront after La Caleta Beach) at 11am on Sunday 10 March. The Andrews Sisters sing cinema hits from the 50s and 60s on 21 March in Bishop’s Palace at 8pm. Gospel It sings on 22 March in the Bishop’s Palace at 8pm. Exhibitions – as usual Calle Larios will become a giant red carpet for the duration of the Malaga Film Festival. This year’s topic is Spanish cinema with photographs by Jorge Fuembuena. The Mexican ranchera par excellence, Chavela Vargas, was born 100 years ago this year. An exhibition called ‘Your Name is Freedom’ pays homage to her at the Ateneo on Calle Compañía 2 from 6 Marcy to 29 March. She’ll be alongside Rita Heyworth who also gets an exhibition of photos. 6 March to 22 March. Free entry. Food trucks – selling Spanish and Latin American food on Plaza de la Marina Friday 22 to Sunday 24 March 12.30 to 11pm. Live music too. Will anyone famous be here for the festival? The list of VIP guests hasn’t been confirmed yet, but tickets for the Gala Night presentation sold out ages ago so a few famous faces are obviously expected. We’ll keep you posted! 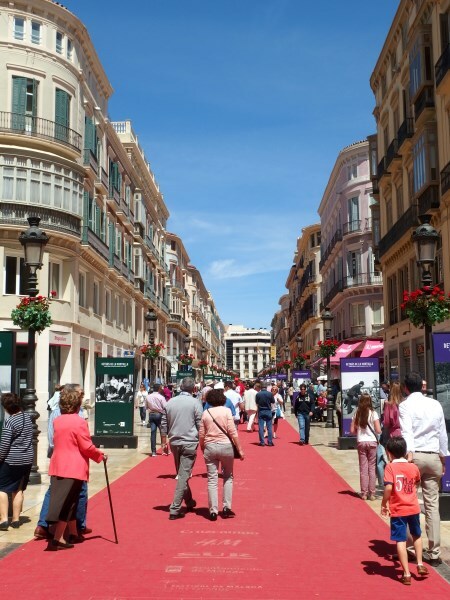 The best places for celebrity spotting are the square in front of the Cervantes Theatre, the Albeniz Cinema and outside the AC Palacio Hotel where many of them stay. Malaga Film Festival is just one of the events in Malaga during March. Get some inspiration for other things to do here.